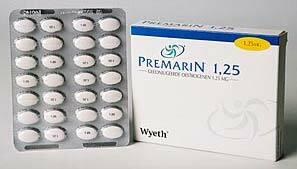 We bring forth a qualitative range of Premarin Tablets for our esteemed buyers. Located in West Bengal, India, we are revered as the Exporter & Supplier of from West Bengal, India. Our offered Premarin Tablets are prescribed by various medical practitioners for their high quality, hygienic packaging, and prompt result and can be availed at pocket-friendly prices. Premarin is used to treat symptoms of menopause such as hot flashes, and vaginal dryness, burning, and irritation. Other uses include prevention of osteoporosis in postmenopausal women and replacement of estrogen in women with ovarian failure or other conditions that cause a lack of natural estrogen in the body.